Help individuals make informed decisions about their Medicare and other health insurance coverage, complete necessary forms, and connect them with available resources. Present information on programs and services available to the community. Teach basic, hands-on computer and internet skills to older adults who have little or no experience with computers. Assist and support Senior LinkAge Line® staff with administrative tasks. 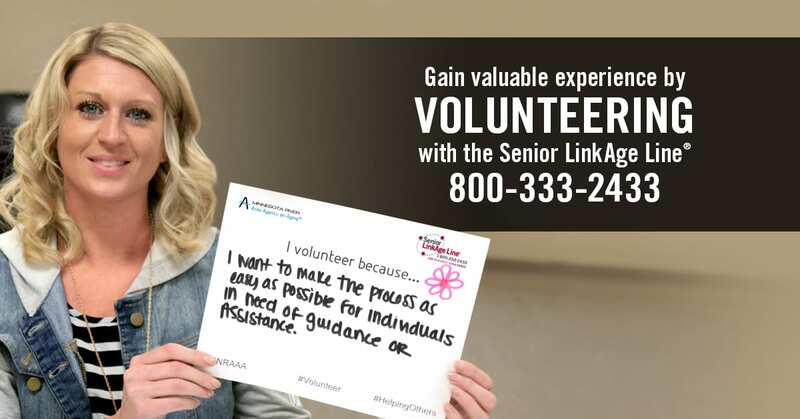 As a Senior LinkAge Line® volunteer for Minnesota River Area Agency on Aging (MNRAAA), your time committment can be as little as four hours per month. You can serve in your own community or at your local MNRAAA office in Mankato or Slayton. There are many opportunities available throughout our service area in southwest Minnesota. 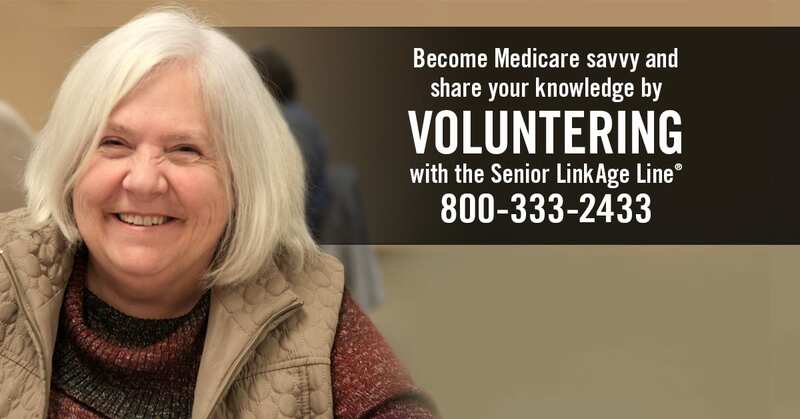 Volunteers receive education and up-to-date information about Medicare, social service programs and ways to help themselves, their family and members of their community to age in place. Volunteering provides physical, social and mental activity, but above all, it can provide a sense of purpose. The safety and health benefits of volunteerism reach beyond the individual volunteers. I enjoy people! When I can help them with something it makes me feel good. I want to stay active in my community. I know there are older adults who can get on government programs if they have help. It is FUN to watch a worried frown turn into a thankful smile when I help them. It makes the world a better place to live and you become a role model for volunteering. I want to make the process as easy as possible for individuals in need of guidance or assistance. I needed something to do after I stopped working! This is a VERY fulfilling job! Everyone should try it! I enjoy helping people learn about medicare and supplemental insurance. I also like to answer people’s questions about services that are available to them and their families. I volunteer because in my retirement years I have the time to assist my fellow older adults and community to improve the quality of life for all people! Medicare is very complicated and it is very rewarding to be able to help someone!